When people with vision, enthusiasm, dedication and passion come together, remarkable things happen — Diazoma is the result of such a profound formula. Founded in Athens in 2008, Diazoma is a movement of people who share the same passion for the Greek cultural heritage and their mission is to protect, restore and promote monuments such as the ancient theatres. By breathing new life into these historical monuments — they become high places of cultural and intellectual enlightment, as they once were centuries ago. At FLY ME TO THE MOON culture is the at the heart of our company’s spirit and we are dedicated to offering our guests unique opportunities to embark on meaningful journeys. 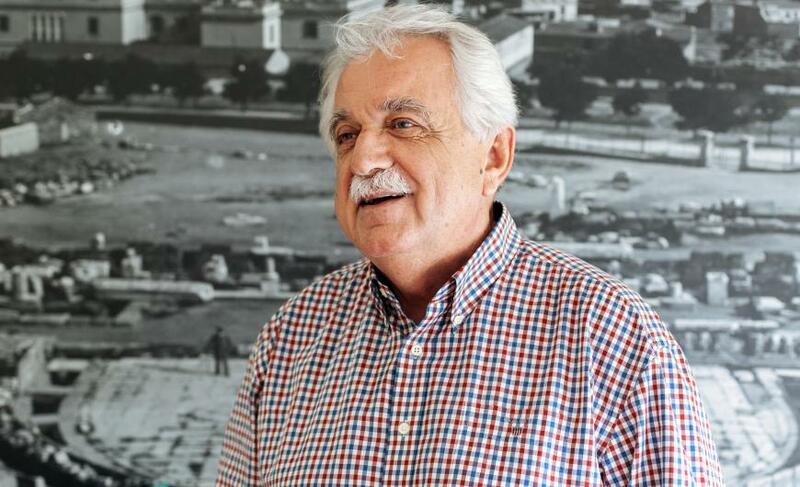 We recently sat down with Ioannis -Stavros Benos, President and Founding Member of Diazoma to learn more about the paramount efforts which have been implemented over the years to preserve the works of art created by the ancient Greek civilizations. Could you tell us a little bit more about how your passion for reviving ancient theatres was born? There was no birth as such, it is a passion that has always been with me. As the Founding member of Diazoma, could you please tell us about your journey of brining likeminded people together in order to contribute to the revival of a great number of magnificent theatres, as well as the economic and sustainable development of the regions surrounding them. When the time was right I found myself surrounded by an enthusiastic and dynamic group of people, which widened in the blink of an eye. Diazoma is a welcoming hug, an open invitation to the citizens of the world to bring these monuments to the heart of life as well as sustainable development and growth. Diazoma has recently launched a new cultural route that takes visitors on a 3-day journey to discover the ancient theatres of Epirus, the surrounding landscapes and cuisine. Could you please share a few details about this initiative and what can a visitor experience in these three days? 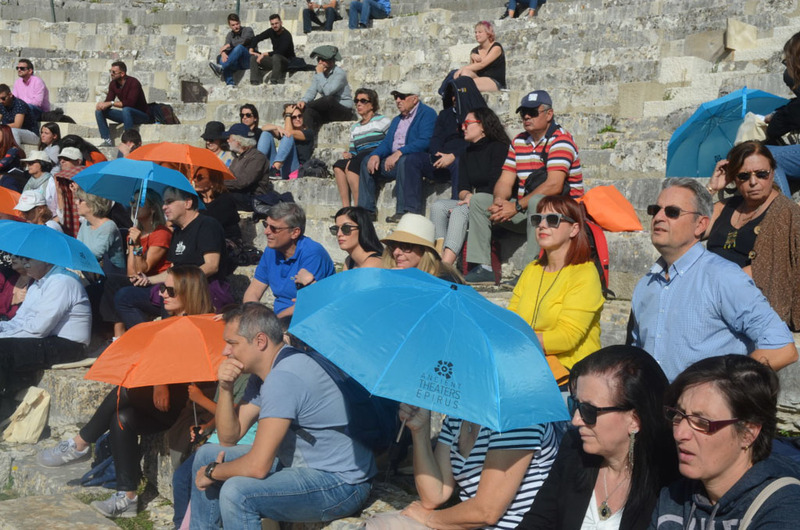 The Ancient Theatres of Epirus cultural route is the result of a collaboration between the Region of Epirus and Diazoma, always with the cooperation of the Ministry of Culture. It was designed within the framework of the Integrated Territorial Investment Operational Program “Epirus 2014-2020”. It is a branded tourism product that focuses on the five ancient theatres of Epirus: Kassope, Dodona, Amvrakia, Gitana and Nikopolis. More specifically, it was about designing a cohesive “experiential” exploration. 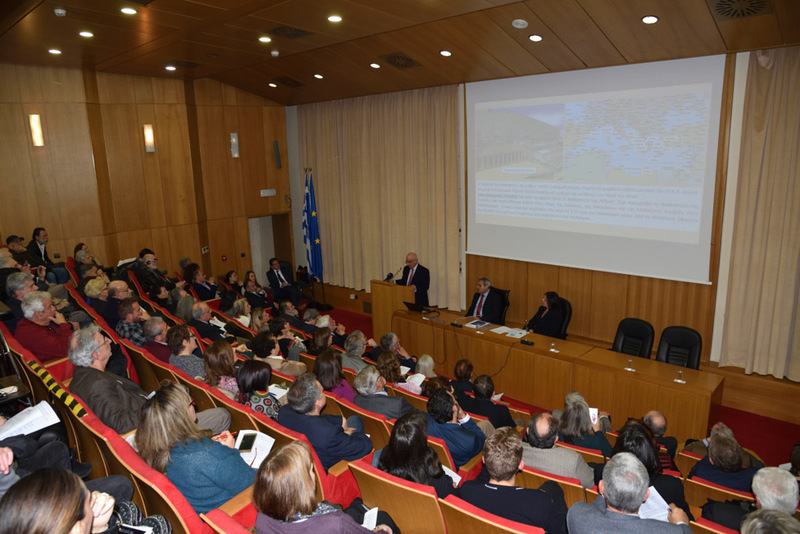 It offers a more personal and holistic experience for those visiting the most important archaeological sites of Epirus, through an interconnected series of actions (improved infrastructure, better accessibility and, significantly, the value chain tourism-culture-agrifood). Are there other similar cultural itineraries which will be offered in 2019? Cultural routes are currently designed with 2022 as a deadline. The archaeological works however extend to the end of 2022, which is the date of delivery for works under the current NSRF (National Strategic Reference Framework). 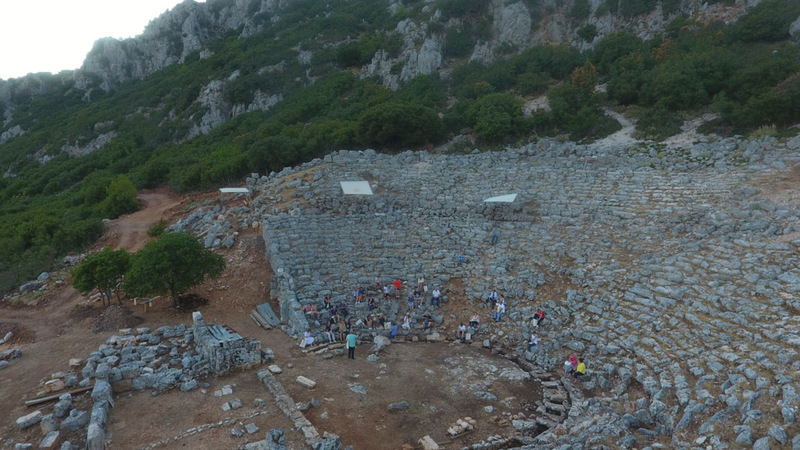 For example, some of the more emblematic works that will have made significant progress (archaeological works are never completed and will always need our care) are the five ancient theatres of Epirus, the Ancient Theatre of Thasos, the Park Philippi, and others. The Cultural Route of Central Greece and the Via Egnatia Cultural Route are also currently being developed. With the recent establishment of the International Network of Antique Asklepieia, are there plans of introducing special healing routes and itineraries to visitors who wish to explore the ancient medicine techniques further? 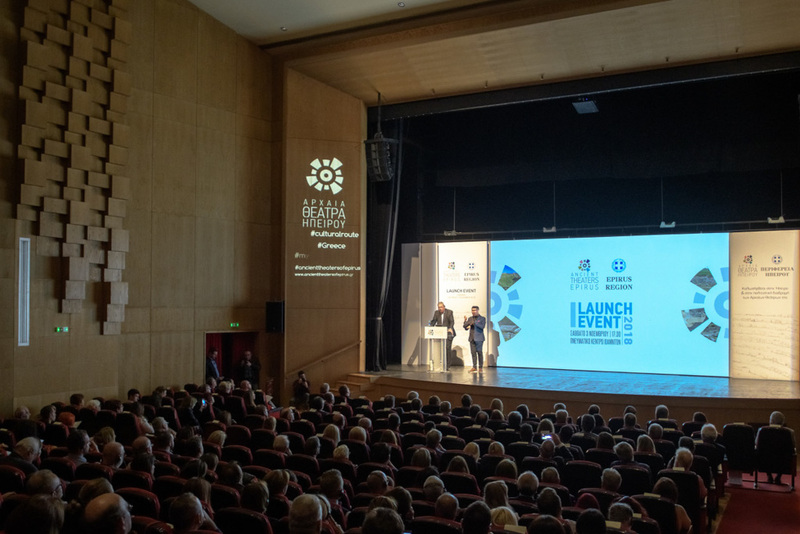 The Network was founded in October 2018 by the municipalities of Epidaurus, Kos and Trikala with the participation of the Ministry of Culture, the University of Athens and the International Hippocratic Foundation of Kos. The Network aims to internationally promote a) research on ancient Asklepieia and ancient medicine and its messages to the modern world, b) the exchange of persons and experiences on the subject, c) take actions highlighting the value of Asclepius’ legacy and d) develop quality and medical tourism by highlighting that legacy. We are collaborating with “Asclepiadis” NPO to design the International Network of Antique Asklepieia. The spiritual father of this newly-founded Network is Professor Emer of Classical Archaeology at the University of Athens and General Secretary of DIAZOMA Vassilis Lambrinoudakis. The Network ties in with thematic medical tourism, the exchange of scientific knowledge, hosting medical students and continuing the research pertaining to Asclepius and ancient medicine. How can someone contribute to the efforts made by Diazoma? If you could use three words to describe a culturally curios traveler, what would they be?